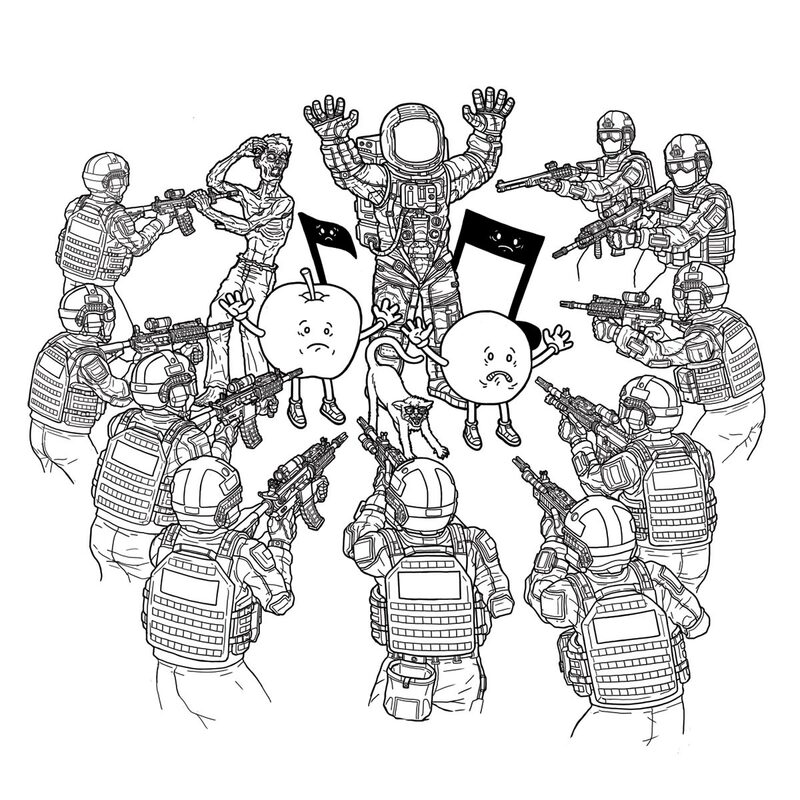 This illustration was for the Not Safe for Threadless challenge on Threadless. 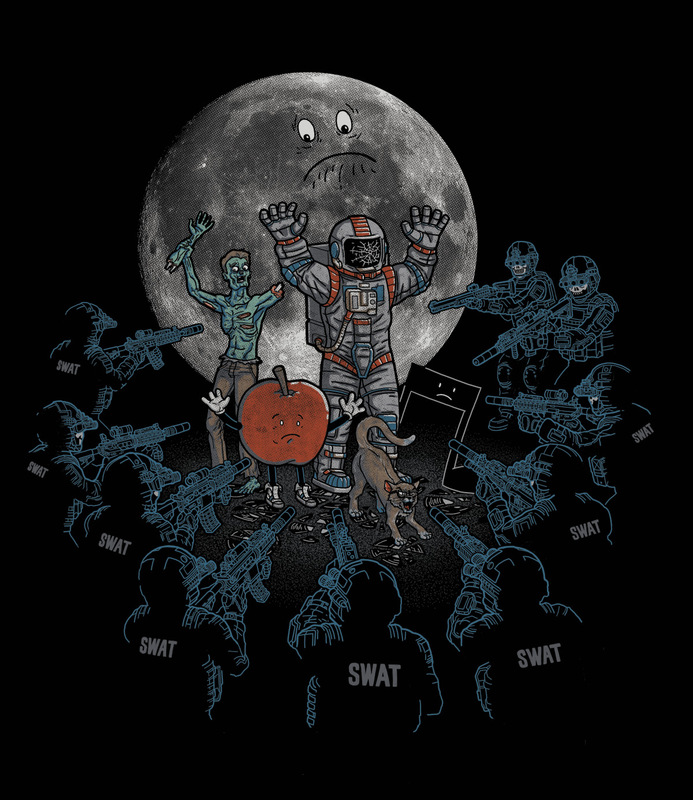 The theme of the challenge was to create a design with a style or subject matter not typically seen on Threadless. 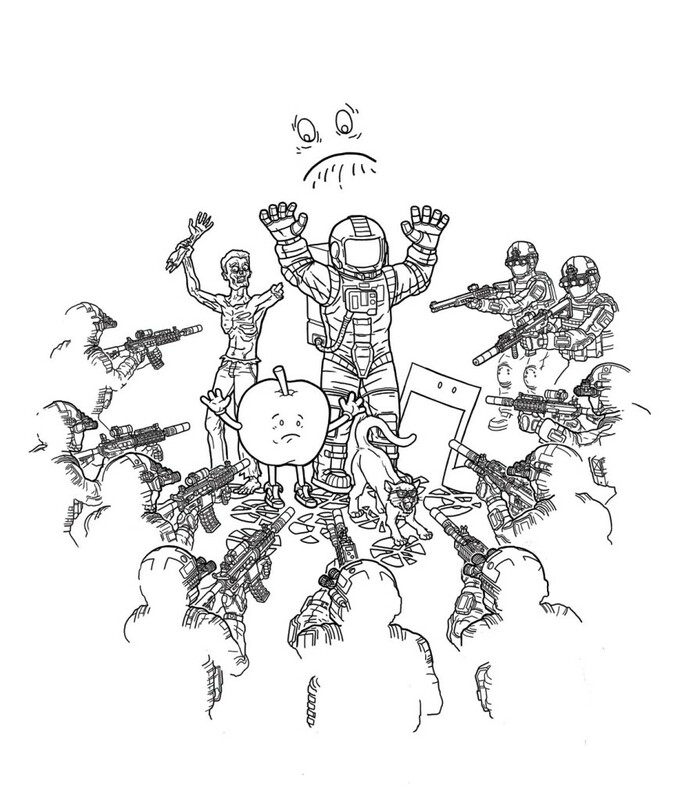 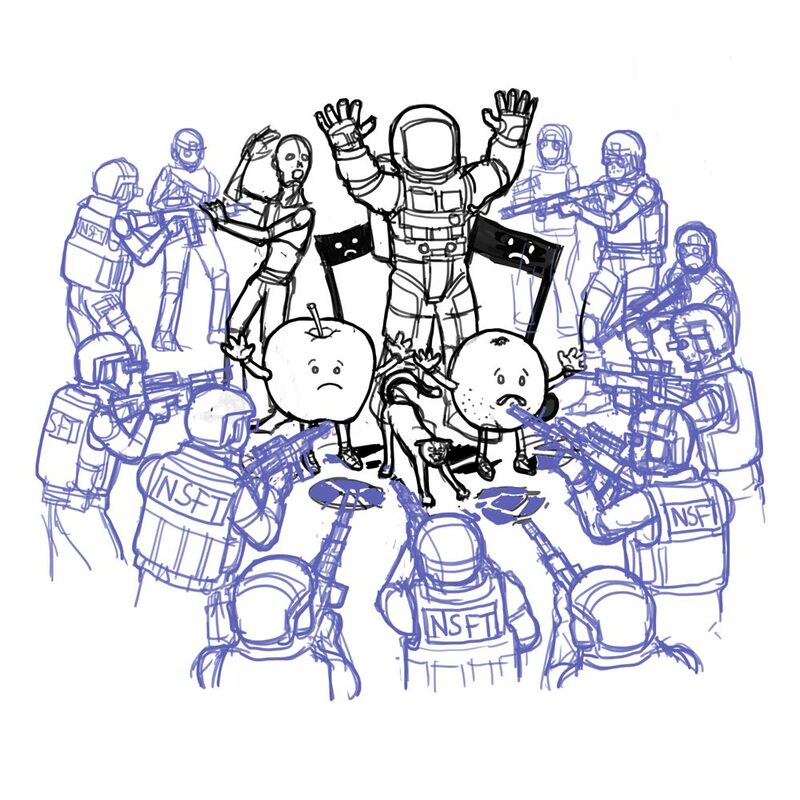 I took a more literal approach to the challenge and included several well-known Threadless tropes being apprehended by a SWAT team.